Today we sit down for an interview with Oksana Syroyid*, the Vice-Speaker of the Parliament of Ukraine from the Samopomich party (11% of votes at the 2014 parliamentary elections) and Oleh Berezyuk, the Chairperson of the deputy faction of Samopomich. Let us start with the question on the decentralization reform in Ukraine. France has historical experience in this area, as its political system combines a strong central government and ample regional and local authority. The French senators and parliamentarians have exchanged on the subject with their Ukrainian colleagues. What do you see as a result of these exchanges? What are the lessons from France, if any, that the Ukrainian government is trying to apply? Oleh Berezyuk: Ukraine’s politicians abuse the French model, especially through the recently proposed constitutional amendments. Oksana Syroyid: The decentralization idea has been discussed in Ukraine for a long time, with an important push for reform since 2015. However, instead of applying the practice of decentralization through boosting local management in financial and administrative spheres, it is proposed to save the Soviet model of local state administrations on regional (oblast) and local (rayon) levels. Heads of local state administrations are now appointed by the President of Ukraine and are subordinated to the President of Ukraine. This should be changed for a decentralization reform to be realized. The French model has been in the center of Ukraine’s attention. The problem is that it is followed in name only, while at the heart of the “reform” there is an old, familiar centralized system. Despite the fact that the Constitutional Commission was trying to apply subsidiarity principle to the draft law on decentralization, the final version of this draft law submitted to the parliament limited the authority of the regional and local governments. In particular, the draft law does not include the subsidiarity principle, it also leaves the executive power vested with the regional (oblast) and local (rayon) prefects alone. The powers of newly introduced prefects are similar to currently existing heads of local state administrations. The prefects act as supervisors over the local authorities, assess the compatibility of the local authorities’ actions with the Constitution and can limit the powers of the local authorities. Also the prefects – not the local authorities – have the power to disburse regional and local budgets. What is more important, it is proposed that if the president believes that the local authorities are not fit to fulfill their mandate, he can personally dismiss them or limit their functions. Therefore, these changes use the French model in word, but contradict it in action. The French observers have realized that and are acknowledging that the Ukrainian government is rebuilding the old authoritarian government model using new terminology. In addition, the draft law on decentralization contains provisions providing special status and preferences for occupied territories of Donetsk and Lugansk regions. These provisions appeared before the Constitutional Commission 2 hours before it had to vote and they were introduced by the Presidential Administration. As a result of the German and US interference into the drafting process and their insistence on “special status” provisions, the Venice Commission had to sign the final draft of the document without reading it, the draft which was given to the Constitutional Commission right before the signing ceremony during a press conference. Moves like this undermine the authority of the European institutions in Ukraine, to say nothing of the Venice Commission authority. Two years after the elections 2014, how do you see the evolution of political forces within the parliament? Oleh Berezyuk: We have to judge everything in comparison. For Ukraine, it is impossible to be like France or Great Britain today. Ukraine has gone through numerous political and economic developments, but still has a long path of social change to endure. Yet we have several examples of positive political transformation. Take the recent example of a political crisis: the change of the Cabinet of Ministers in February-March 2016. It was a political crisis, but for us it was a victory, because it was the first time that the government changed in a parliamentary way, through public management, without a coup d’Etat or a revolution. Also, the current parliament is building on the experience of the previous term, where the message was clear: if you do not perform, you’ll be dismissed. The second example of a positive change is, ironically, the decentralization process. On December 29, 2014, a budgetary decentralization has taken place, giving to the cities the power to manage their budgets, as well as the responsibility to think how to earn and spend it. As a result, unlike the central authorities – the President, the Cabinet of Ministers and the parliament, who remain widely unpopular – mayors have gained support from the people in many places. Anti-corruption measures are the third example of positive political change. They represent an overwhelming majority of all the laws passed by the parliament. The reality remains complicated, but one thing is clear: now when the parliament makes decisions, it has to think about the benefits for the people and not only for the government itself. Fourth, today we have a splitting of the parliament into the ruling coalition and the opposition. These notions were nominal before, as both the ruling and opposition parties were “owned” by the oligarchs, occasionally by the same ones. The notions of the government versus the opposition were a matter of linguistics. Now the split is real. Although the oligarchs still control some of the parties, the opposition has grown more fragmented and more independent. It is also the first time when we see the opposition compromising on certain issues with the governing coalition and voting together to pass legal measures together. 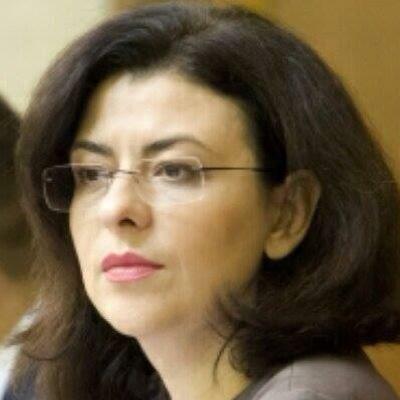 Oksana Syroyid: The fact that Russia started the war has been a major galvanizer for Ukraine and its national identity, pushing the country from the old-time sclerotic politics, when the country was perceived as an extension of Russia, to the realization of Ukraine’s national identity and commitment to its values. After the second Maidan, for Russia, war was the only way to interfere. Oleh Berezyuk: The most important piece of legislation we need to pass is on parliamentary elections, allowing open-list proportional system, to push back the oligarchic influence. This would cut back political corruption, influencing general corruption as a whole. What are the preconditions for the resolution of the Russia-Ukraine military conflict in Lugansk and Donbass regions? Why have not they been fulfilled so far? To identify the preconditions you have to know the source of the trouble. In reaction to the Russian invasion of Ukraine, the other countries have been trying to escape reality and appease Ukraine, to prevent it from escalating the war. This is a mistaken approach, because whatever you do to Ukraine, you will not impact Russia. The key failure for Ukraine was made at the signing of the Budapest Memorandum in 1994. Taking away the nuclear weapons did not mean that the parties were committed to protecting Ukraine. As Richard Pipes rightly said, “this was the check that should not have been cashed”. Russia knew that the Budapest memorandum would not be fulfilled and that its hands were loose in case of a decision to make a military advance. This calculation proved to be true after the appeasement in the Crimea, when the Kremlin launched the “Novorossiya” project. “Novorossiya” failed not because of the allies, but first, because of the popular volunteer military and civil movement, which Putin mistakenly discounted. Second, the Russian invasion actually benefited Ukraine, as a major development accelerator of the Ukrainian identity. The majority of people in Odessa, Kharkiv and Zaporizhzhia, being Russian-speaking and generally indifferent to politics, have recognized that they were Ukrainians. In big cities, powerful local private interests also posed a major hurdle to the Kremlin. Thus, in Odessa, big business owners of the beaches, night clubs and the like, often with criminal background, did not welcome the Russian project with open arms, anxious to lose their control levers. In early 2014, social networks picked up a poster from Odessa streets: “Vova don’t make mama nervous,” the “mama” referring to “Odessa-mama,” of course. The point is to say that after Maidan in the winter 2014, when the state leaders ran away and the state in the sense of institutions disappeared, the people recreated the state. In response to these developments, Russia had to change its tactics in Donetsk and Lugansk regions and its communication about its role in the East of Ukraine. Nobody – be it in Russia, in Europe or in the US – wanted to talk about the presence of Russian troops in Ukraine. Instead, Russia presented that these were “locals, the tractor drivers and miners” who stumbled across Russian tanks and weaponry and decided to rise up against the “oppressive Kyiv regime”. It took time till Illovaisk to see the troops, where the “self-armed local volunteers” were not enough to push back the Ukrainian army. After Illovaisk, nobody could deny the presence of the Russian troops per se in Ukraine. To understand the conflict, it is important to understand Russian strategy. Putin does not need to destroy Ukraine, he wants to control Kyiv through his people in the government, who can vote in the Parliament for the so-called “decentralization reform” with “special status” for Donetsk and Lugansk regions. If the current parliament passes this draft law in the shape and form advocated by our allies and backed by the Kremlin, Kyiv will sign its own death sentence from the hand of the population. Tens of thousands of people have fought in the war and have seen the enemy. Thousands have died. The survivors will not just allow the parliament to now legitimize the Kremlin-backed bandits heading the enclaves to sit in the Parliament and execute the will of the Kremlin. However, this is precisely the goal of the Minsk Accords – and the main reason why they have turned to be impossible to fulfill. Minsk has been designed as an instrument for undermining Ukrainian state from inside through the following powers: the special status for the Russian-controlled territories in Ukraine’s Constitution, the special status in the law providing for extra-sovereignty, decentralized law enforcement, prosecution, judicial power and foreign policy – things impossible in any sovereign country. This is what’s already in the law on special status, which in turn has been already passed in Ukraine. Add to this the amnesty for all of those who have been fighting the Ukrainian army in Donetsk and Lugansk, legitimize the Russian-placed local chiefs through elections and you will legalize the Russian presence in Ukraine. This cannot be tolerated by the people and will lead to civic conflict. After the legal status and recognition, expect the Donetsk miners to come to the central government asking for salaries since 2014… This will not end there, as other regions of Ukraine will want to have their special status too, further undermining the authority and government capability of the central government. In a word, this would be the last law passed in Ukraine, as it has all the potential of plunging the country into chaos, leaving one big winner: Putin, and fulfilling his goal of destabilizing and controlling Ukraine. Beyond Ukraine, the same triggers can be applied to countries in the EU, fulfilling another one of Kremlin’s objectives: destabilizing Europe, which should be fragile, weak and easy to manipulate. Putin is investing a lot of money in European businesses and the media with the same purpose. These actions are not an end in themselves. They are just the means to the Kremlin’s third and main foreign policy objective: to be seen as an equal by the Americans, to sit at the same table with them and be taken seriously as co-leaders of a conversation on how to divide the world. Ukraine is the key, the corner-stone for the Kremlin to build upon, affirming that role. This is what Ukrainian politicians are trying to explain to their European and American counterparts. First, we have to prevent Ukraine from destruction. If Ukraine falls, the rest will fall too. Second, we have to isolate the conflict and strengthen the military to be able to partake in international military security alliances, bi-lateral and multi-lateral coalitions in Europe and beyond. Third, we have to keep the sanctions on Russia to avoid strengthening it. Fourth, we have to remake the world order, going beyond the UN, which has failed as a global governance institution in the same way that the League of Nations failed in the early 20th century. Oksana Syroyid: People have to see Russia for what it is: not a democratic country, but a dictatorship with a different political philosophy from the democratic world. Systemic corruption, merger between the government and business and red tape are identified by the French companies working in Ukraine as the key stumble-blocks of doing business in the country, even after numerous reforms in these areas. Does the government envision addressing these issues and if yes how? Oksana Syroyid: The oligarchic political system has been preserved and continues through access to public procurement, state property and privatization, national resources and state monopolies. In the end of the day, all state institutions: the courts, the police, the prosecutors exist to guarantee this oligarchic control. If we want to achieve progress in business-related services, these three points have to be tackled at the same time as the service sectors. But all these elements are integrally connected to the law on the proportional system of elections. If the majoritarian system is preserved, the oligarchs will keep control. To address the numerous issues with the state monopolies, we need to pass regulation as to their management, encouraging private ownership, transparent reporting and board members selection. Privatization transparency is a key issue here. The procurement also has to be public and open. Take the defense sector as an example it is the source of the biggest corruption because it is secret, for security reasons. Finally, the regulators have to be subordinate to the parliament and not the president, limiting the one-man influence over the system. One word concerning judiciary reforms. We have seen many judges resign over e-declarations and procedure, but numerous members of the old judicial elites, with slave-like mentality, remain and are looking for new owners. Various oligarchic clans used to own the judiciary and share the pie of influence. To prevent these structures from recreating themselves, new Supreme Court composition is key. If the Supreme Court reforms fail, the next opportunity will present itself only in 25 years or so, because of the judicial service terms and the average age of Supreme Court judges. Oleh Berezyuk: Our political goal is to pass the message to the oligarchs that they cannot survive if they keep managing the country as a business: you have to share with the people. 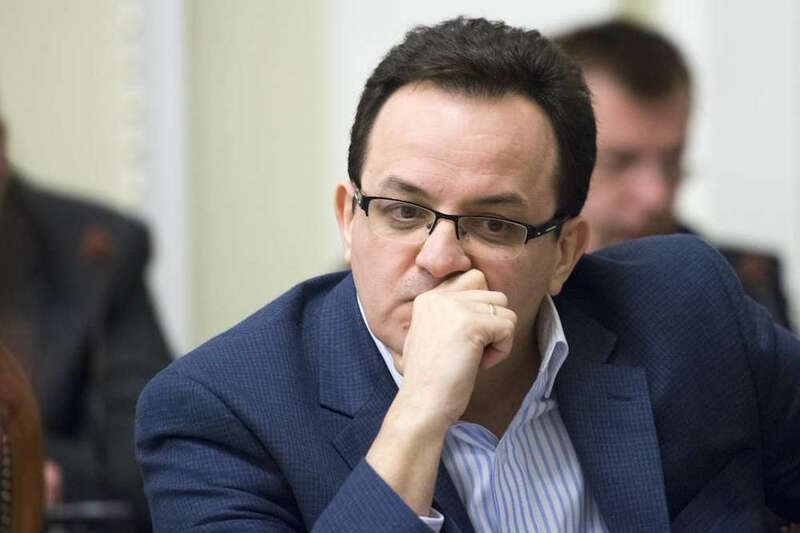 *Before taking up the public office, Syroid served as Director of “Українська правнича фундація” (Ukrainian Legal Foundation), took part in the drafting of the laws on the judicial and language reforms, the freedom of assembly, as well as the ministerial cabinet procedure.